The Government said it wants to do more research before deciding whether to reduce the limit from 80 milligrams of alcohol per 100 millilitres of blood to 50mg. Labour's transport safety spokeswoman Darien Fenton said the Government had failed to act decisively over the issue. Labour supported lowering the limit, she said. "Anything that will save lives on our roads is worth doing." 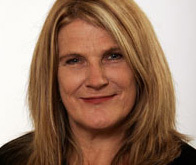 Today's announcement showed Transport Minister Steven Joyce was over-ruled by his Cabinet colleagues, Ms Fenton said. She said she supported the zero alcohol limit for recidivist drink drivers, but treatment for people who had an alcohol problem. "If someone has alcohol addiction problems, it's unlikely that they will change their behaviour based on penalties and fines. "They need treatment, or they will be back on the roads, endangering their lives and those of others." Alcohol Healthwatch director Rebecca Williams said not reducing the limit was "gutless" and a missed opportunity. At least 14 lives a year would be saved by lowering the limit, she said. "We simply do not need more research to tell us this will effectively save lives and reduce the number of alcohol-related crashes on our roads." Nearly 300 studies showed essential driving skills were significantly impaired at the current 80mg limit and public support for lowering the limit was growing, she said. "This is a regrettable failure that leaves our Government with blood on its hands." AA general manager of motoring affairs Mike Noon welcomed the announcement the Government would undertake research on lowering the blood alcohol limit and the tough stand on recidivist drivers. "We are talking about seriously drunk people who are blatantly ignoring the current rules. We want them off the road." The Government should commit resources to alcohol assessment and treatment to help people deal with their addiction, Mr Noon said. A second, lower, blood alcohol limit for younger people was confusing so a zero limit for under 20-year-olds was good, he said.